Last weekend was the 6th year I’ve rented a booth at the Toronto Yoga Show. This is one of the few trade shows I participate in each year. It’s a good one for our business because it is busy and it is geared to Yoga. 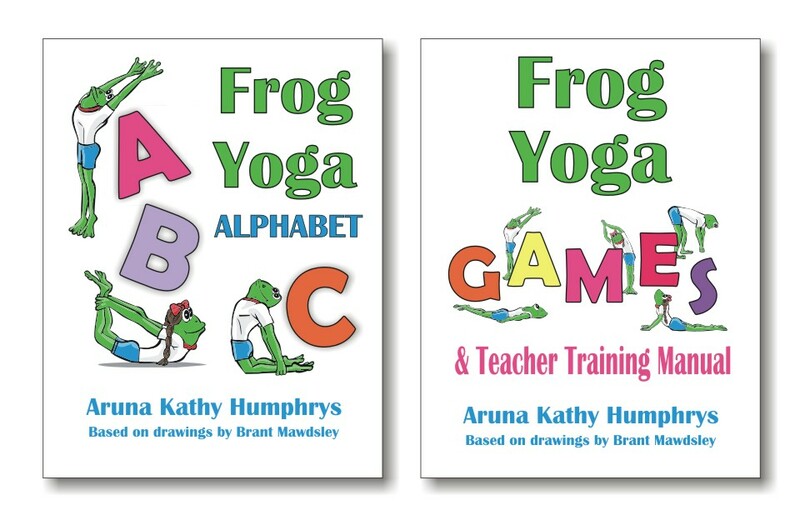 We promote our Kids Yoga Teacher Training, the 12 Day Immersion and sell a few kids yoga products that are easy to use and explain. Plus we get to showcase our Kids Yoga in the Yoga Garden for a 30 minute Class. If you ever get the opportunity to teach a demo class at a conference or festival I hope you take the opportunity. I have taught this class for a few years now and it has helped build my confidence teaching larger groups. In past years we invited children onto the stage, and some kids come back because they really like this part. So we divided our class into a warm up with kids on stage and then partner poses after they return to their families. Promote some products at the booth: our second objective was to showcase our resources in action. This year we featured the Breathing Ball and an audio from Meditations for Growing Minds at the end. Then we gave out Yoga Stickers to the kids who participated. Promote the Kids Yoga Teacher Training: 3 grads of our training volunteered to teach the class. This gave them a unique opportunity to teach a large group and also let me brag about how wonderful and confident our grads are at teaching! Partner Boat Pose with Maggie teaching and Cyndi assisting. 5 min: Aruna plays the “Castle of Clouds” track from Nicole’s Meditations for Growing Minds Album (3 min). Then thanks everyone for attending and invites people to come get our literature and talk to us at the booth. If you’ve taught kids yoga classes, you probably know that 30 minutes can fly by! Our plan felt good and we all knew to try to stick within our allotted time. We were ready. But the classes before us was not. Somewhere, someone, somehow, went over time on their class. The time snowballed and we didn’t get to take the stage until 10 minutes into our allotted time. Then we were on our own to figure out the mic equipment. It wasn’t until 5 minutes into the class that I found the volume on the mic so people could hear the teacher. After losing 10 of 30 minutes to the class before us, Marcia has invited the children on stage and getting ready to start the warm up song. So each of our teachers ended up losing almost half their time. Yet everyone handled it so gracefully. They cut back on their activities rather than trying to squish everything in and we had a jolly good time with the families. We only went over 5 minutes. Fortunately the teacher after us was so very gracious about it. What are my 3 take-aways from the 2019 Festival Class? Support your local festivals and they will support you back. I’ve been part of this yoga show since its inception. Six years ago I took the plunge with registered for a booth for the Kids Yoga Teacher Training. Doing local festivals is a great way to get to know your community. Prepare for loose timing and fun: Starting and finishing classes on time is a challenge in studio and festivals alike. Be ready to change your lesson plan on the fly and figure out equipment on your own. But most important, have a good time! Surround Yourself with Talented People: At the show, someone asked me how I have manged to have a yoga business for 20 years. One big part is that I surround myself with people who are smart and talented. I stopped trying to do it all myself. I could teach a 30 minute class on my own but seeing our grads get this opportunity I felt so proud of their confidence, talent, and grace to go with the flow. No matter what your lesson plan, when you bring your heart and soul to the event you are in for wonderful results. Festival are an important step to creating a strong supportive community.